We talk a lot about the importance of high quality content on your dental practice website, but how do you know what type of content your site needs and which pages are the most important? The more unique, high-quality content your website has, the better in terms of search engine optimization, but that doesn’t mean you should overwhelm your prospective patients with 80 pages of detailed content they have to sift through. In fact, it's important to remember that your website is not for you (or just for the search engines), it's for current and prospective patients. That means that some of the specialty services and procedures that you want to emphasize may not actually be of interest to your website audience and don't need their own page. Ultimately, the total number of pages on your practice website will depend on what your individual practice offers and your SEO goals. 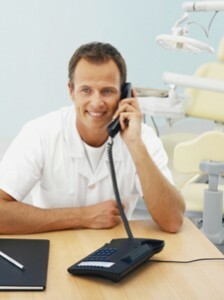 But there are several specific pages that your dental website must have to be optimized for new patient conversion. We call these the “money pages.” Watch our quick video below to find out more, then continue reading for advice on how to optimize these pages on your own site! Over the last ten years, we’ve carefully studied millions of website visitors for the 2,000 client sites we manage to determine which pages are the most important and the most influential in converting new patients. One of the things we do at Smile Marketing is interview each new client and have one of our professional copywriters write these five money pages. Since we started developing content this way, it’s made a big difference in our clients’ new patient conversion results. So, if your website content needs updating, particularly the money pages, hire a professional copywriter. Don’t have a website yet, but considering getting one? Partner with a dental website company that has professional writers on staff who specialize in creating website content that converts. Looking to make some improvements yourself today? Read this post on website content readability to ensure your content is appealing to your prospective patients. And then learn about calls-to-action so that you can properly guide your website visitors through your site and encourage them to call your office. Want to add more unique content to your dental practice website by blogging? Download our free eBook Blogging for Beginners to learn how to get started!